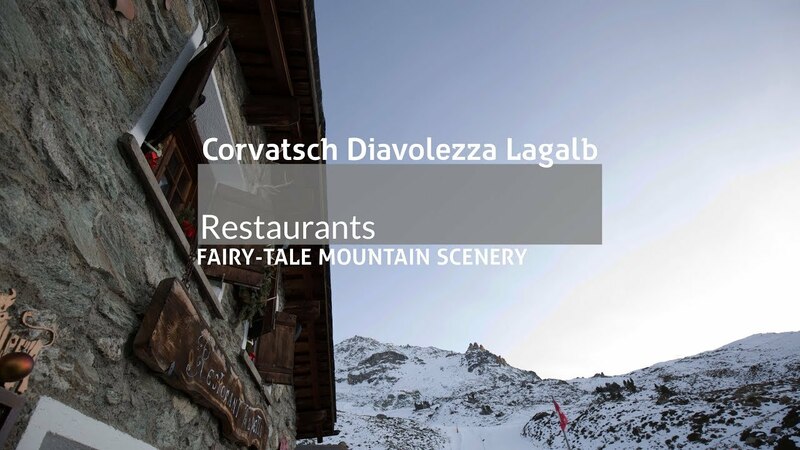 From the smart panoramic restaurant up at 3303 m above sea level, to cosy ski huts, there's somewhere to suit all tastes on Corvatsch. Sun-worshippers adore the wide sunshine terraces, party animals love the stylish Après-Ski bar, and gourmets rave about the many menu options. Vegetarians and vegans will also find treats for their palates. Glacier fondue, fresh pasta every day, Italian flatbread, gourmet menus in the evening: these are the culinary treats to be found at the mountain restaurants in the Furtschellas skiing area. One of the real highlights is the famous "Kuhstall" (literally "cowshed"), which during the day is a trendy ski hut on the valley run and, in the evening, is a mecca for gourmets, with 13 Gault Millau points. There could hardly be a more inspiring venue for a meeting, conference or seminar: the Murtèl restaurant by the middle station (2700 m) on Corvatsch boasts plenty of space, peace and quiet and a panoramic view of the lakes of the Upper Engadin valley. Whether you want to host a banquet or a seminar, a buffet lunch or a fine dinner, the options are virtually unlimited.